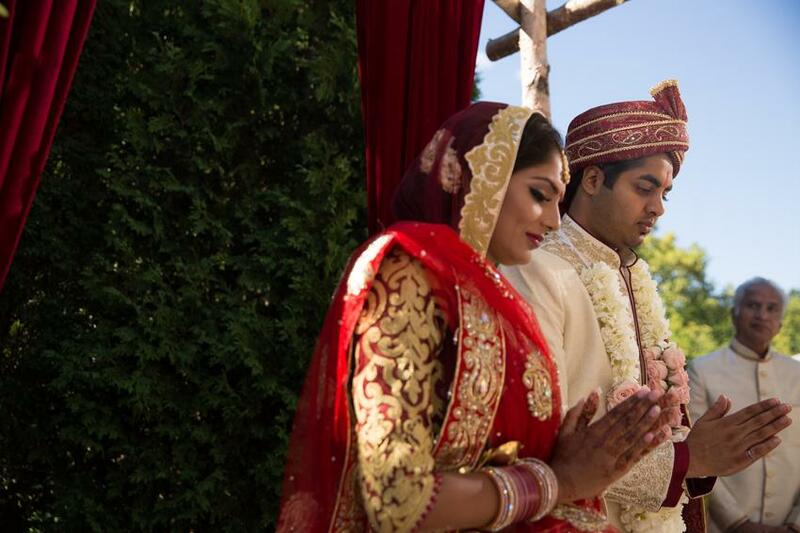 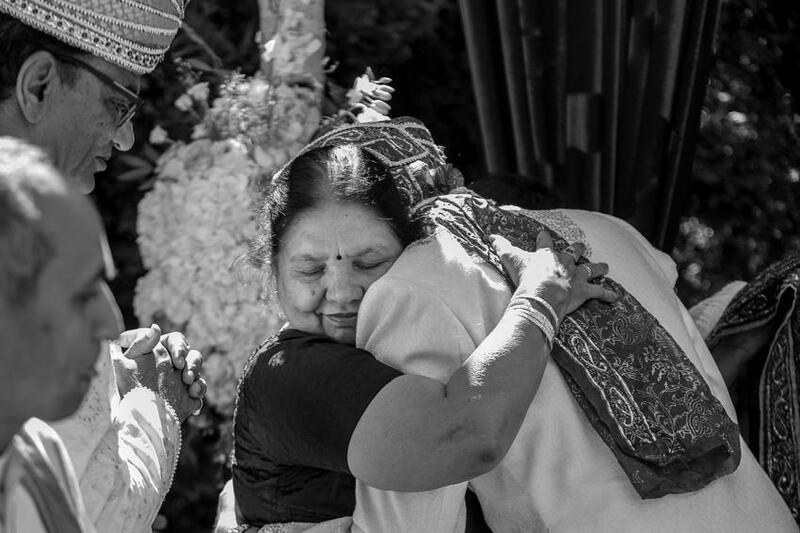 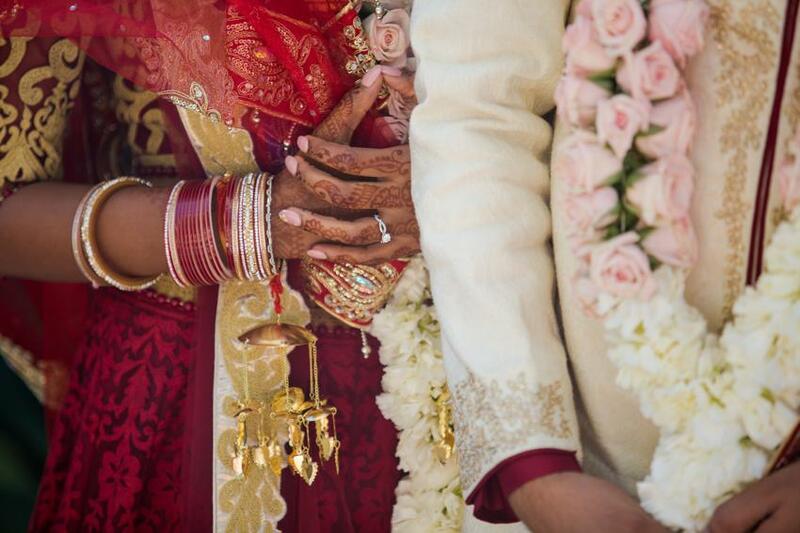 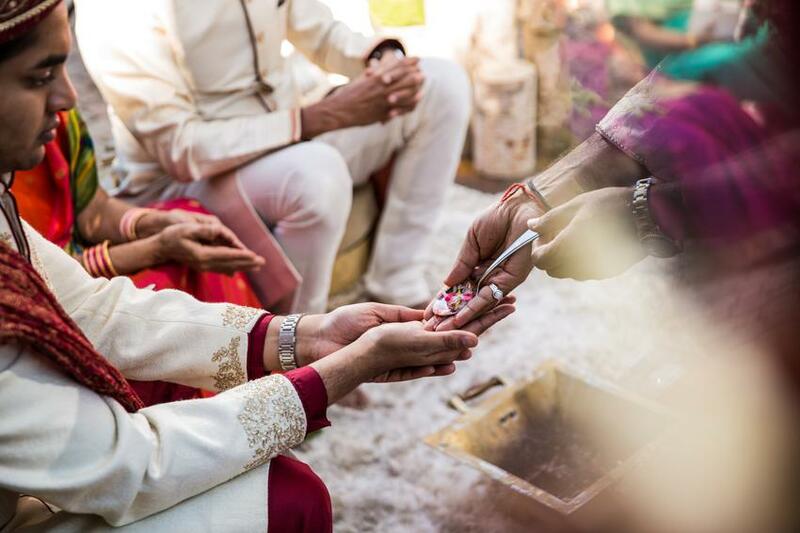 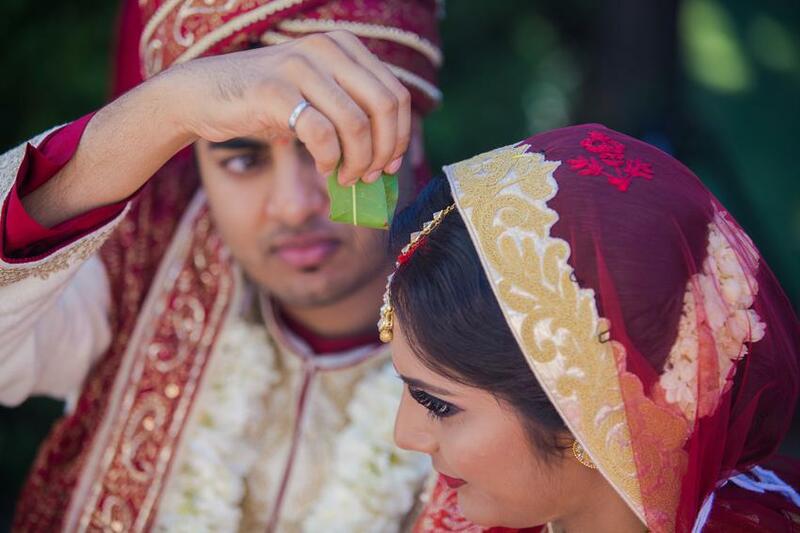 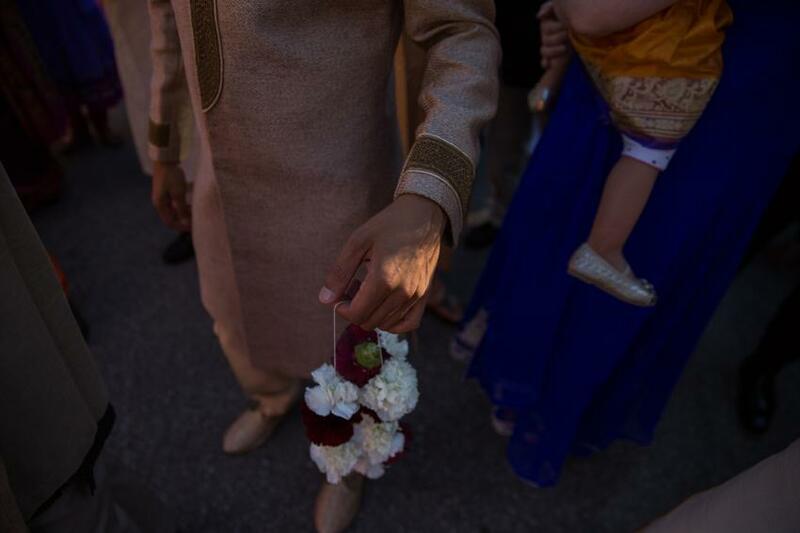 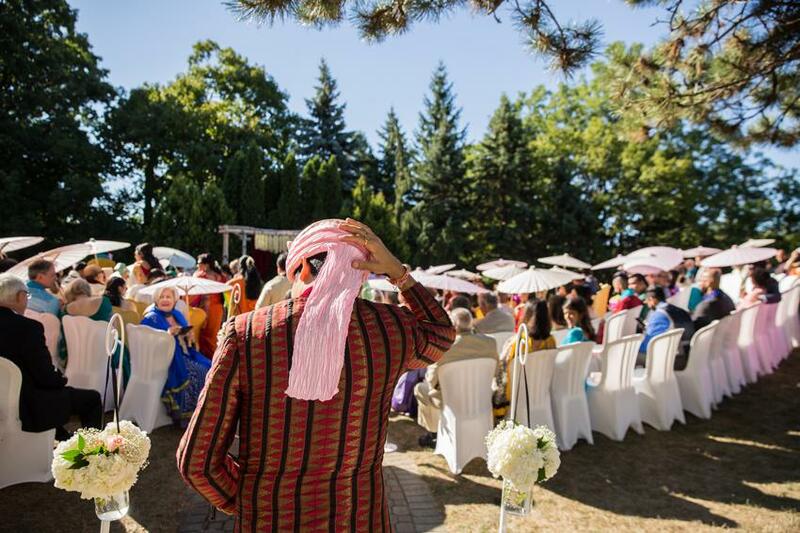 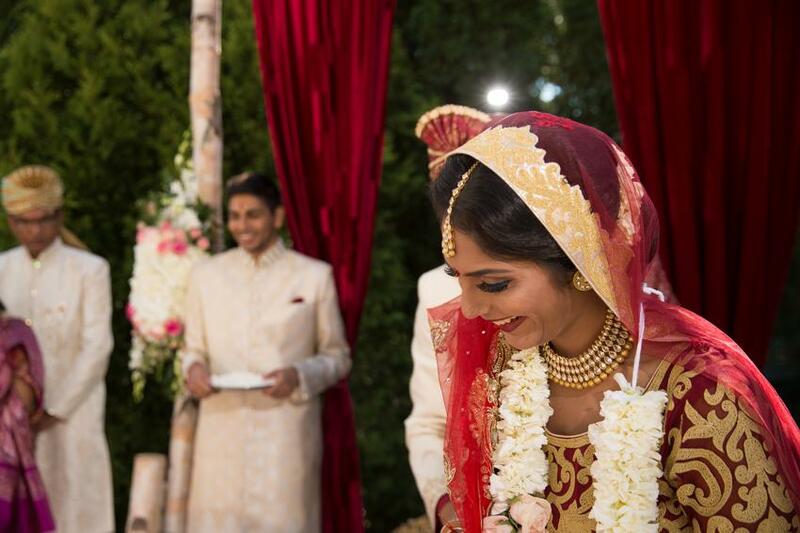 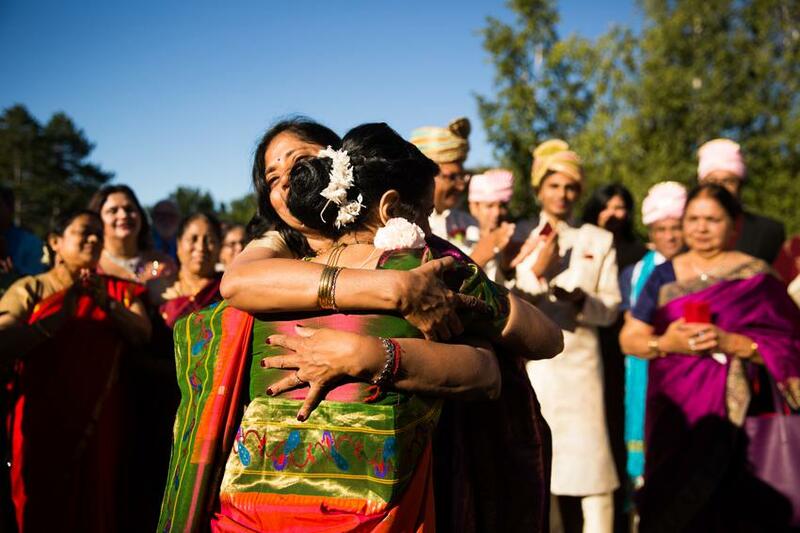 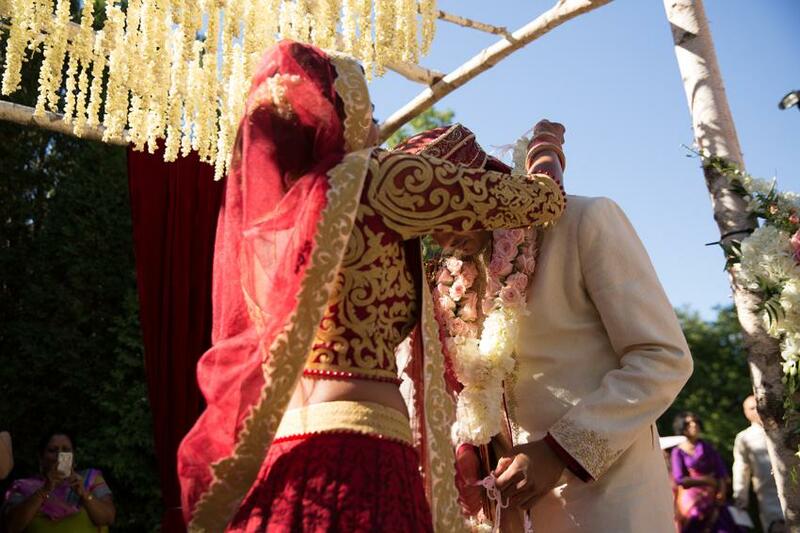 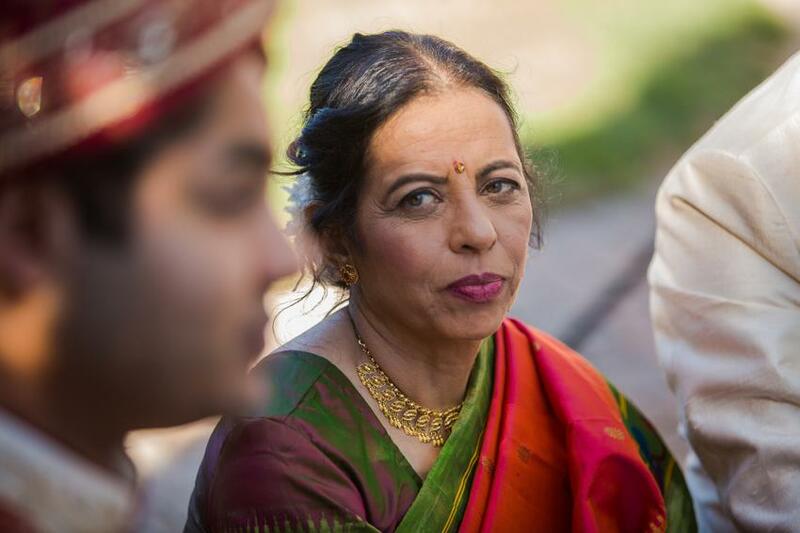 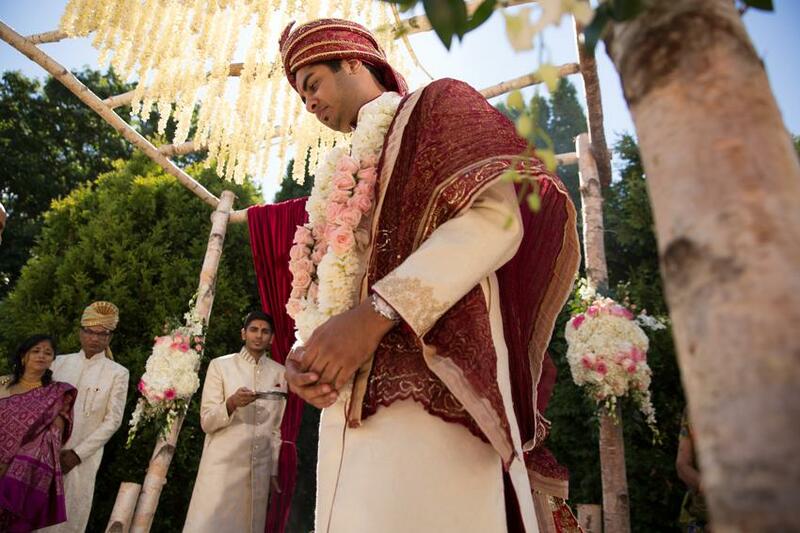 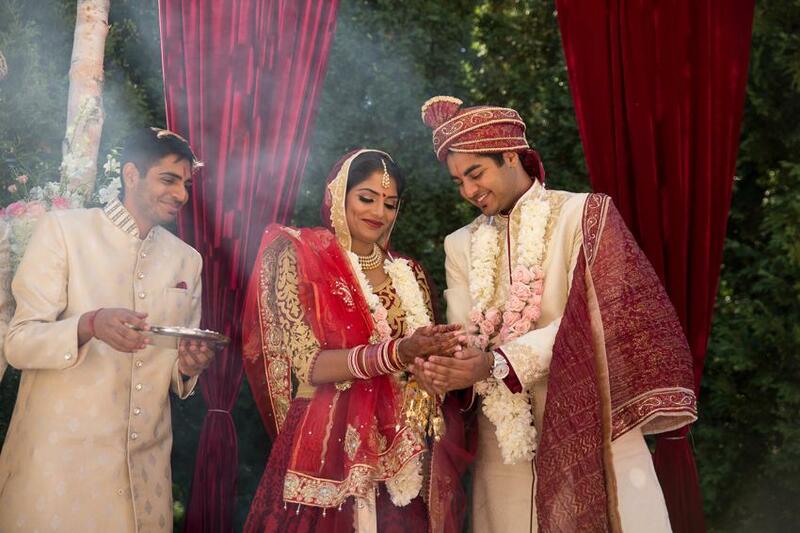 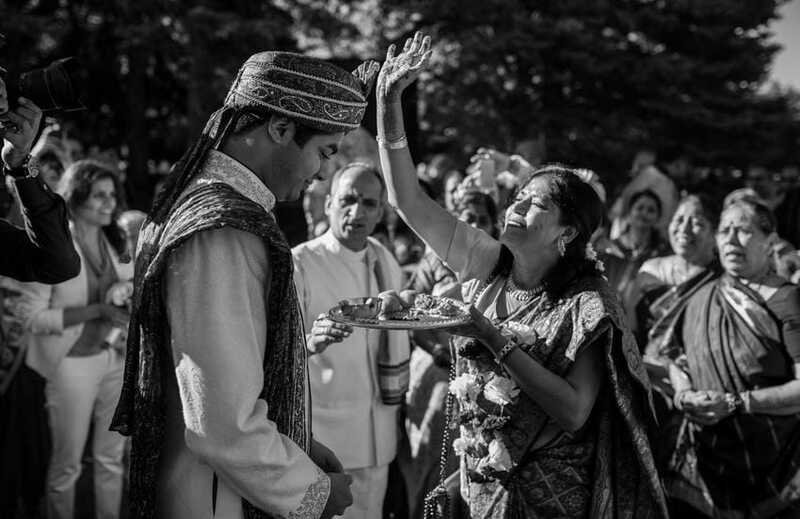 Outdoor Hindu wedding ceremonies are a growing trend in Toronto. 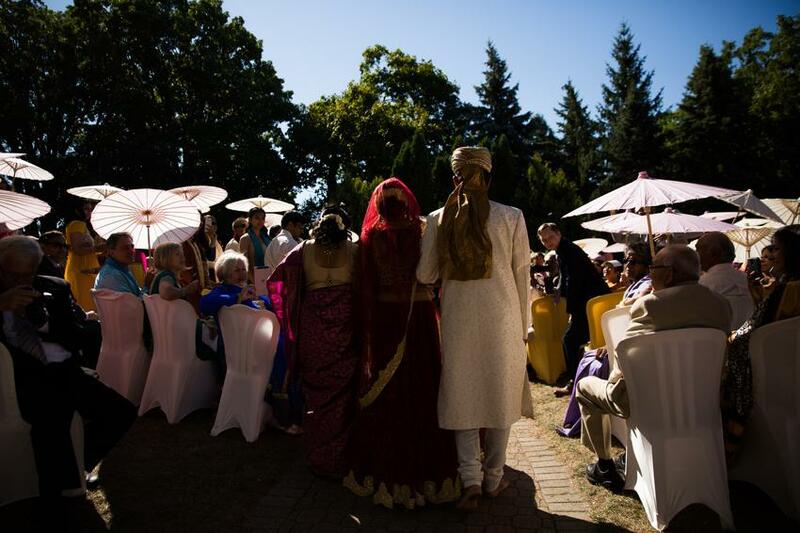 Even though outdoor ceremonies require a lot of pre planning, depending on weather conditions yet they have their own essence. 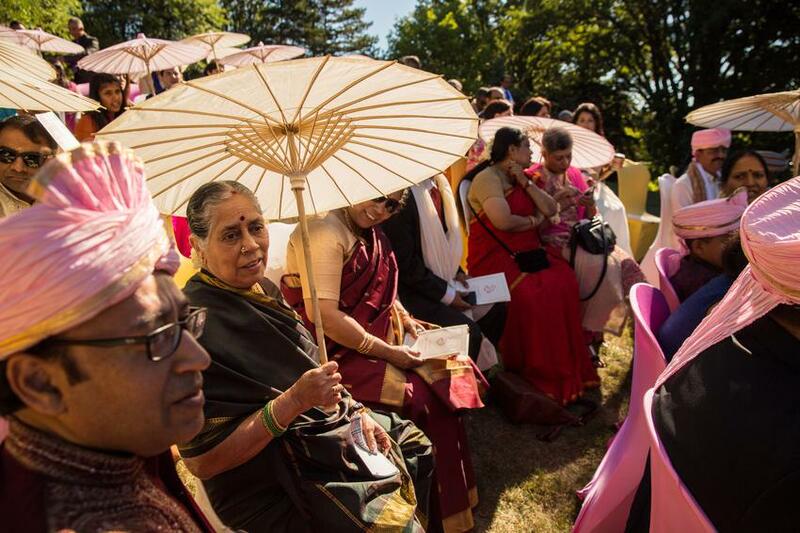 In case of adverse wether conditions, most locations have indoor accommodation. 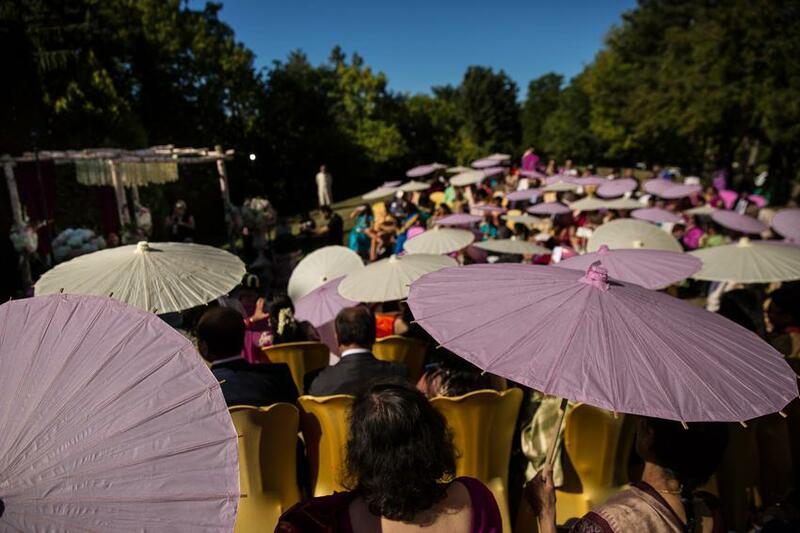 For summer outdoor ceremonies, arranging umbrellas is a good idea. 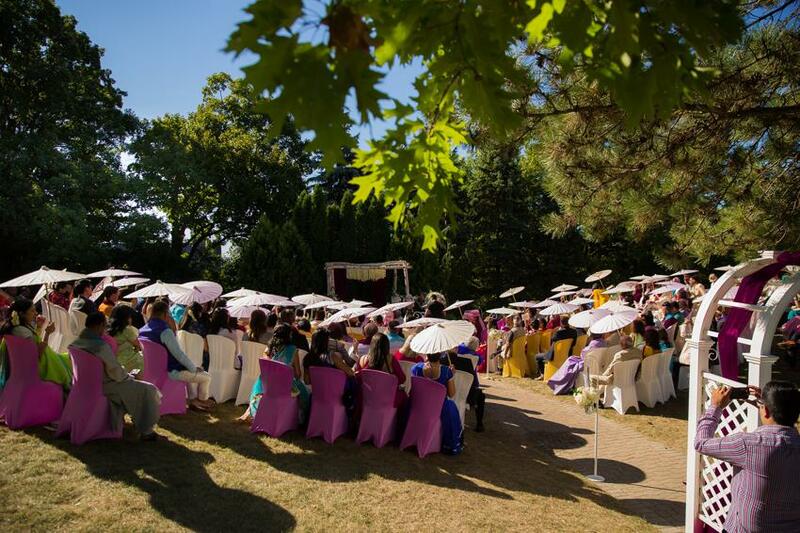 Alfaaz Team had another opportunity to be a part of a beautiful outdoor wedding ceremony. 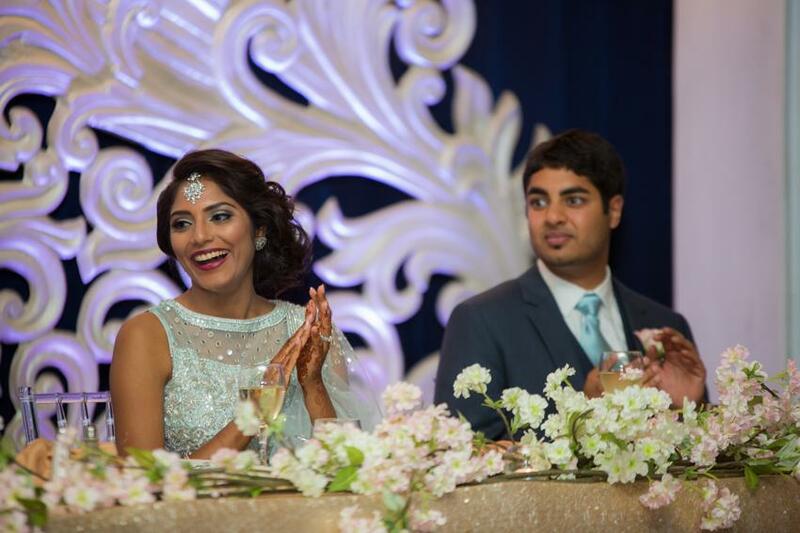 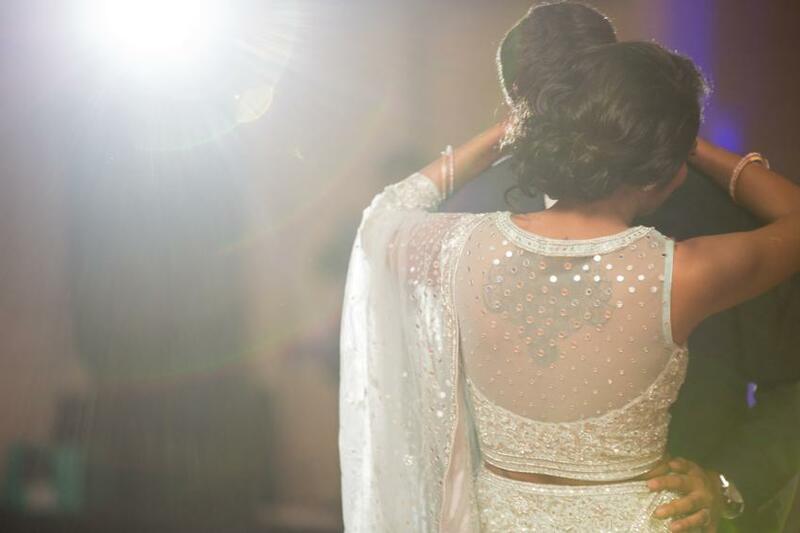 Alfaaz Photography had the chance to meet the couple at Suhaag, a wedding show. 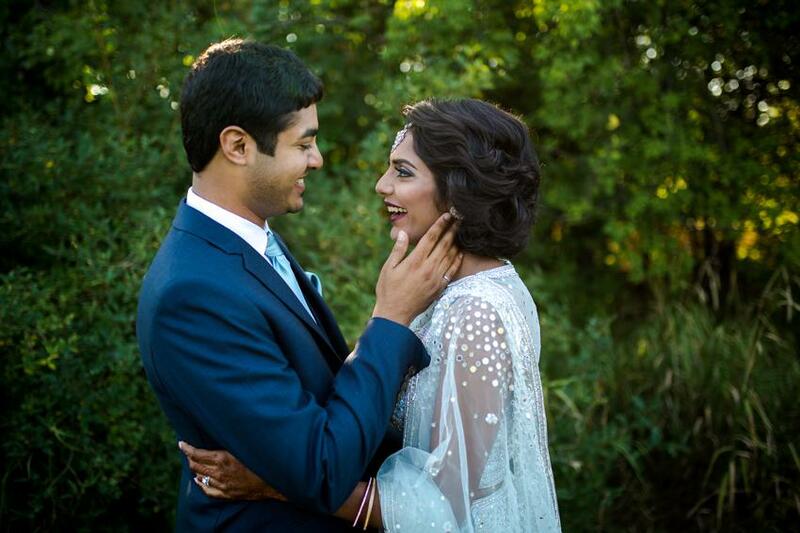 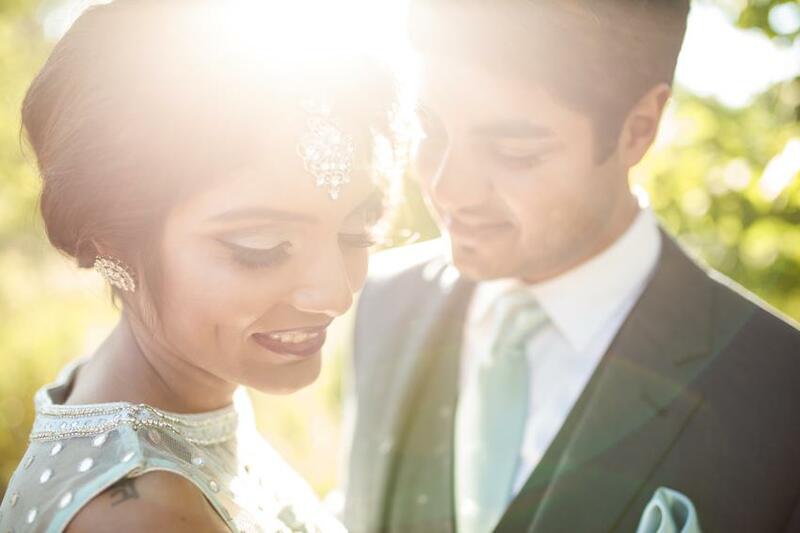 During our pre session with Ekta and Rahul, we learned they were university sweethearts. 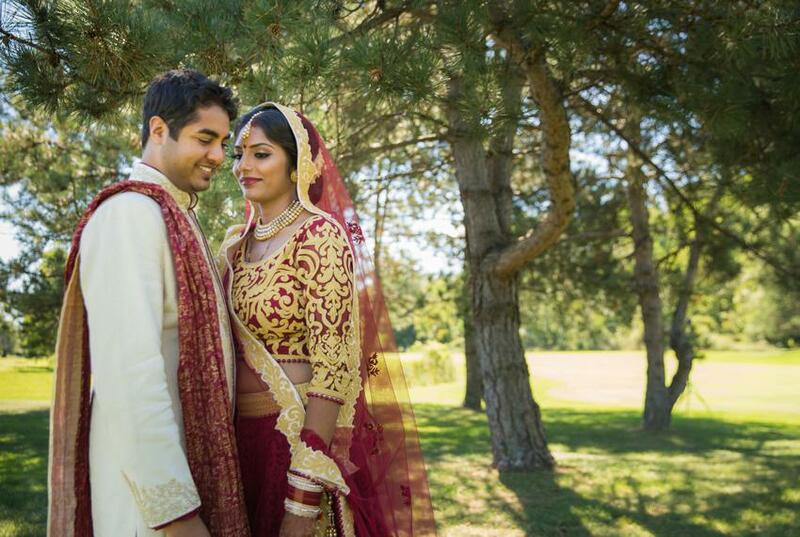 The two had met at University of Waterloo during frosh week and were together since. 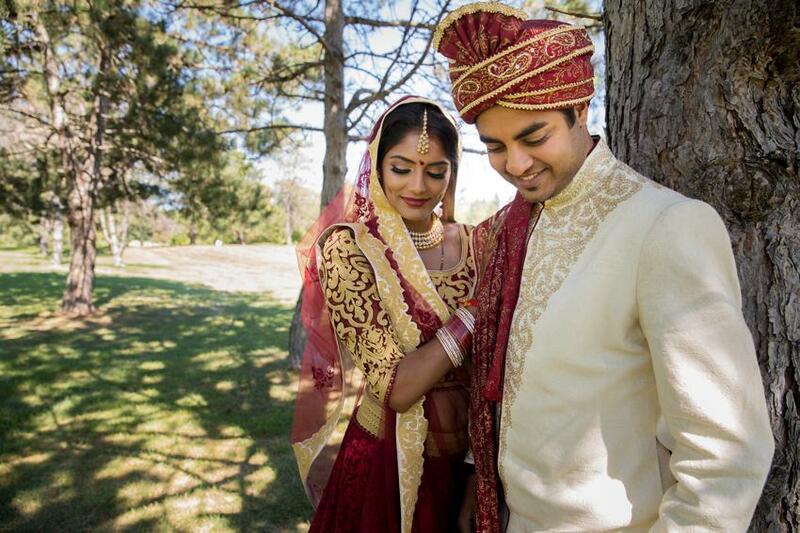 As the session went on, the couple expressed exactly how they wanted their wedding. 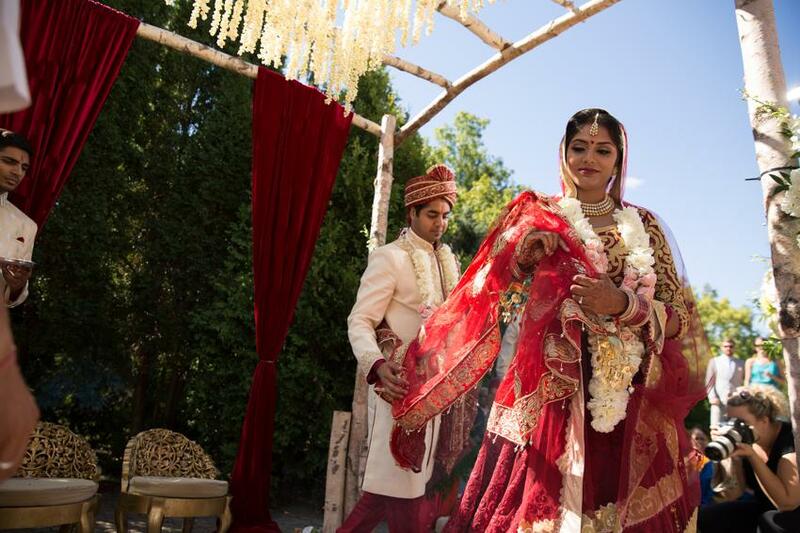 The couple had an outdoor hindu wedding, in a floral mandap matched with bamboo setup and red draping done by GPS decor. 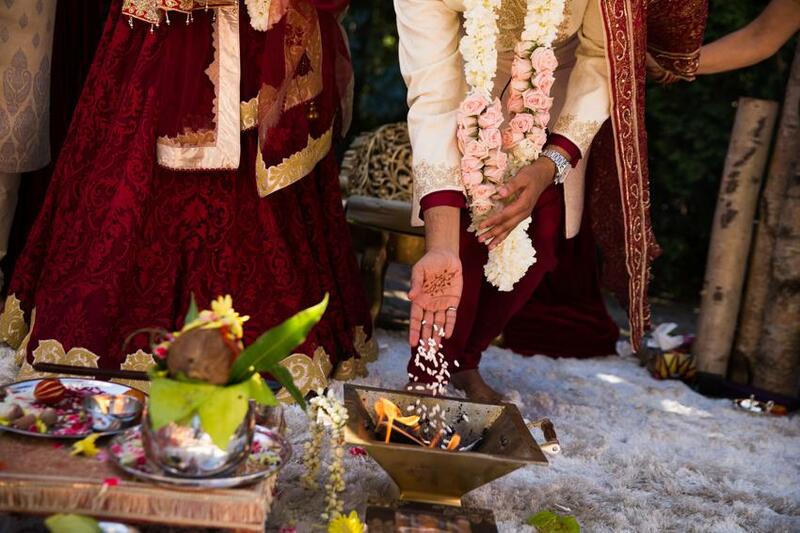 One tip for couples, planning an outdoor hindu wedding, is to make sure the altar is setup as per the lighting. 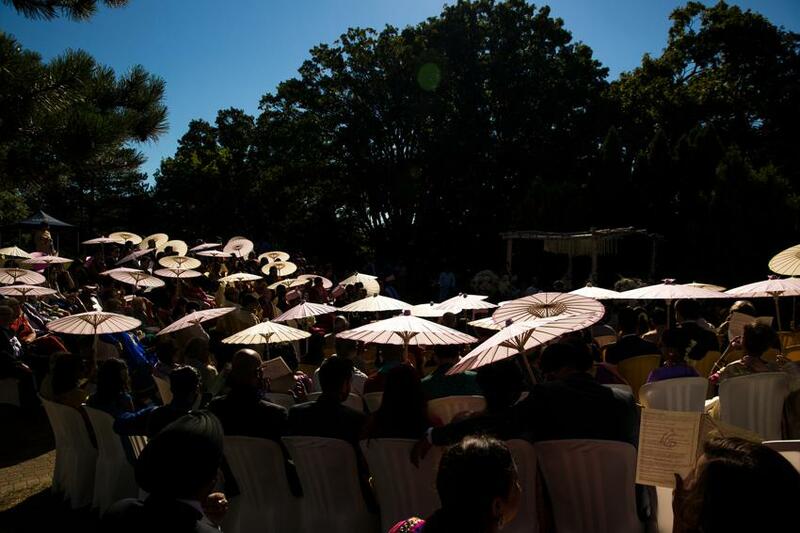 As an expert in outdoor ceremonies, couples should always be sitting in shade or sun. 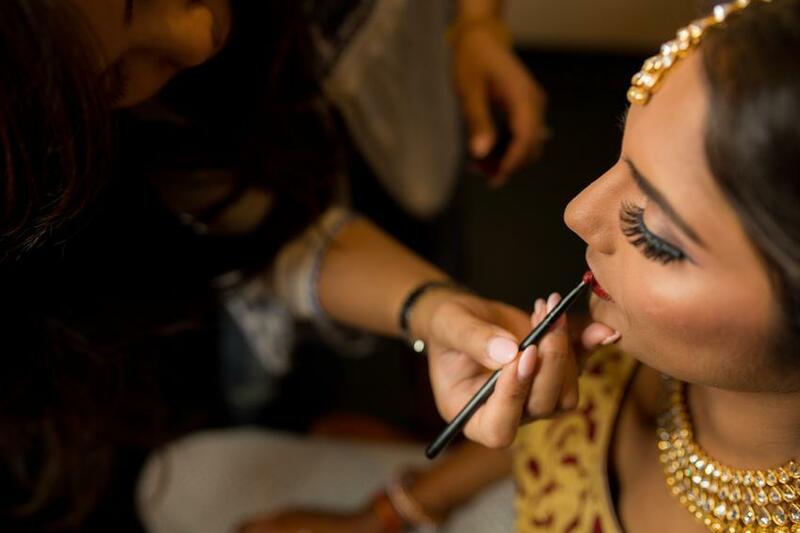 Ekta’s sangeet was inspired by the Rajasthani fort. 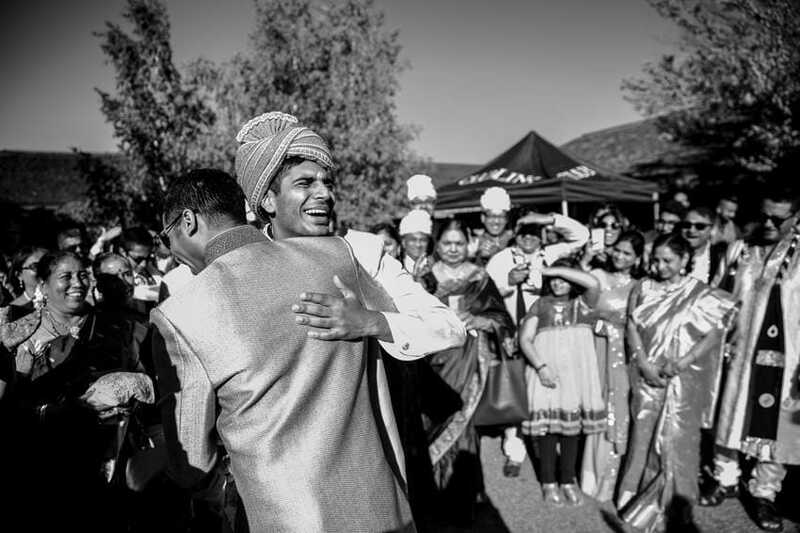 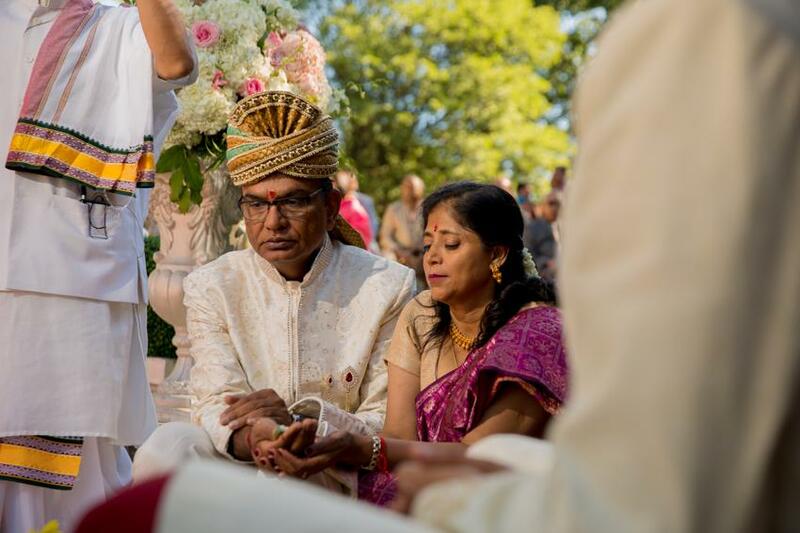 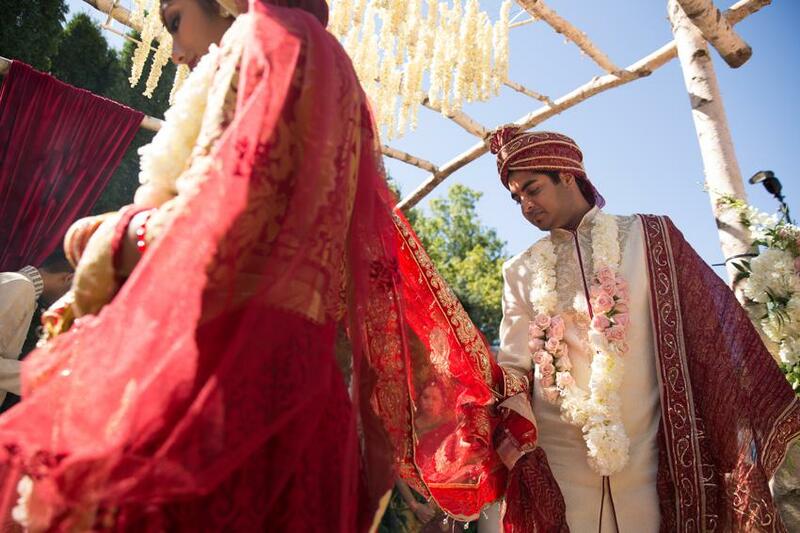 Piyush from Karma designs was hired for this special ceremony, as he is known for his Traditional Wedding setup expertise. 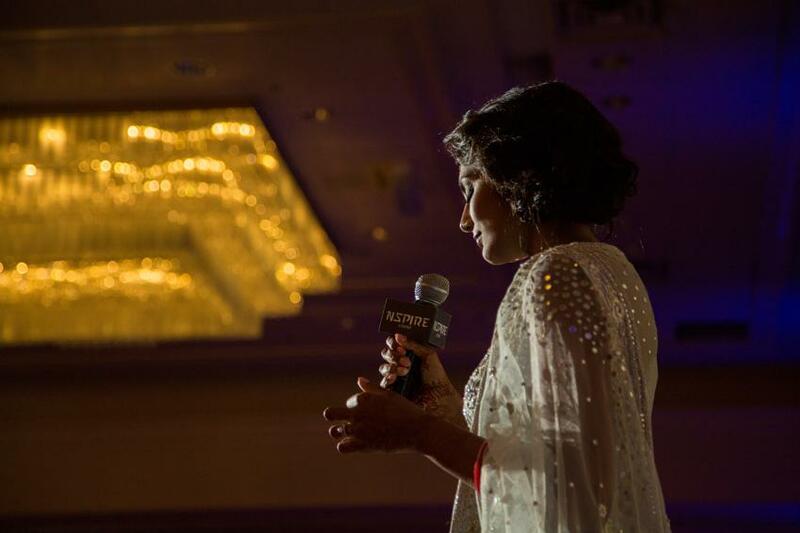 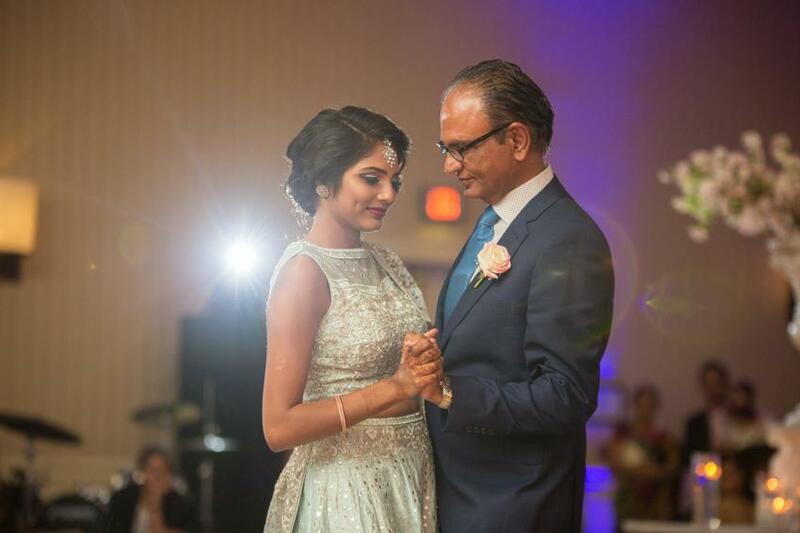 Ekta’s dad worked closely with Karma design Studio to make his daughters dreams a reality. 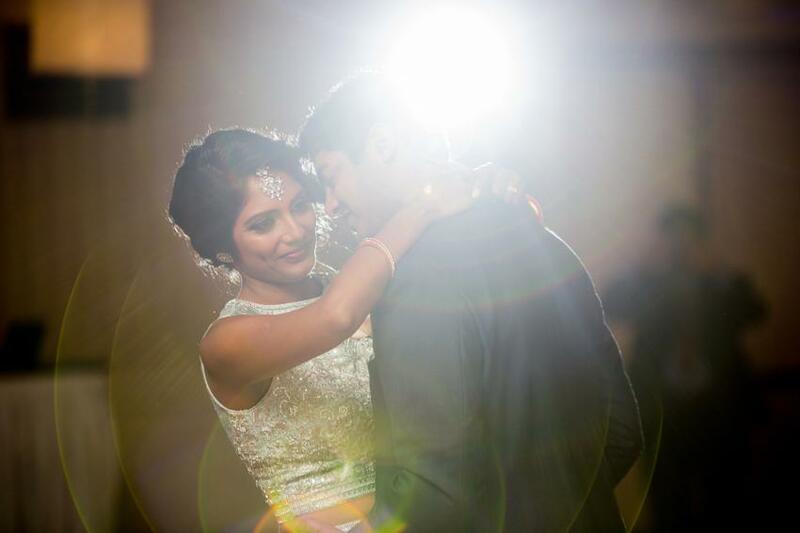 There was a candle lit Varsai hall. 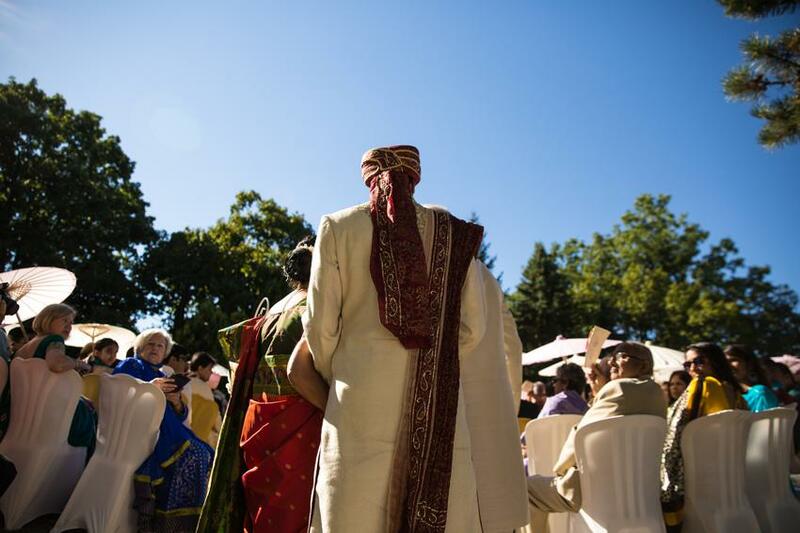 The guests were being greeted at the entrance by two hostess from sakaskiri arts dressed in traditional South Indian and Rajasthani attire paired with floral head pieces. 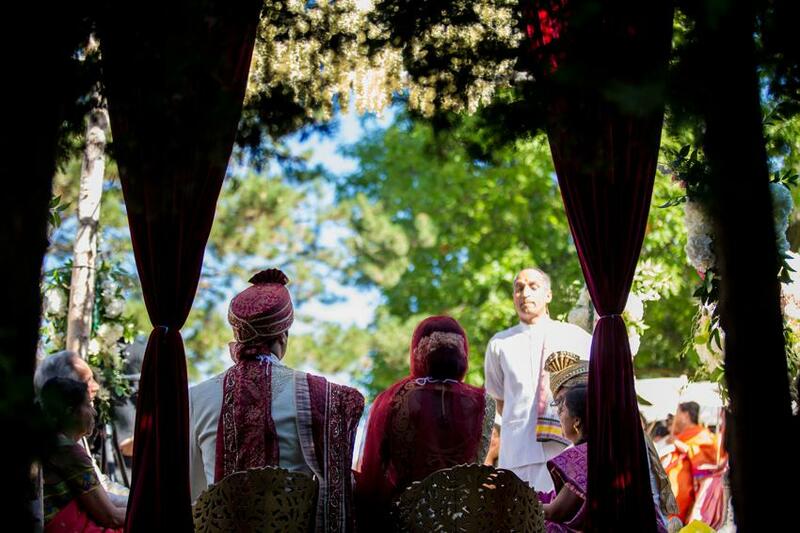 Once all the guests were seated, all the eyes turned to the main entrance. 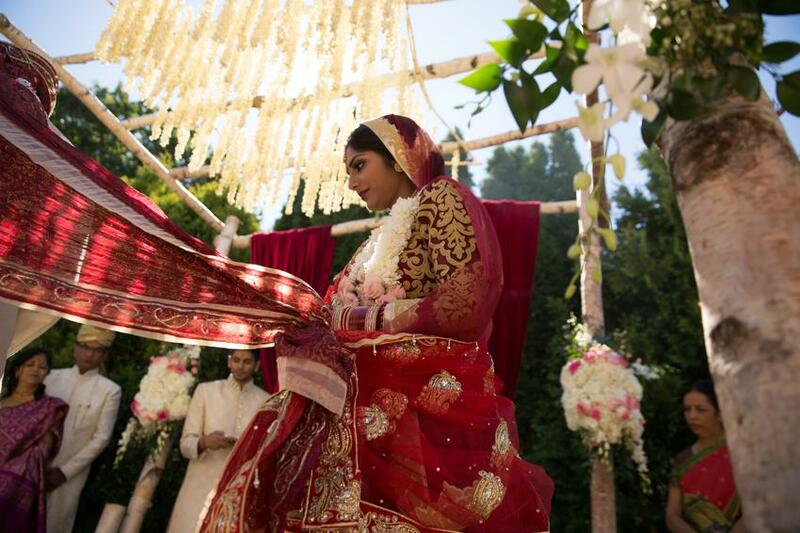 The bride made her swooning entrance dressed in a gold and red sari. 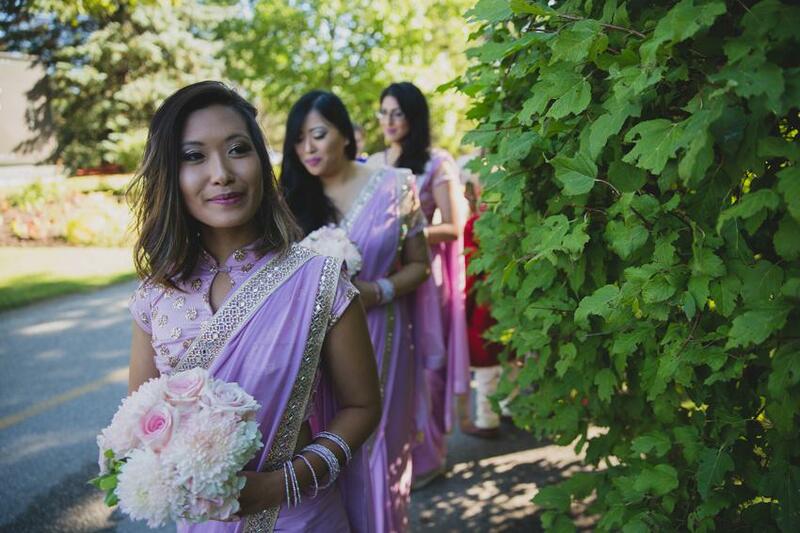 She was accompanied by her bridesmaids. 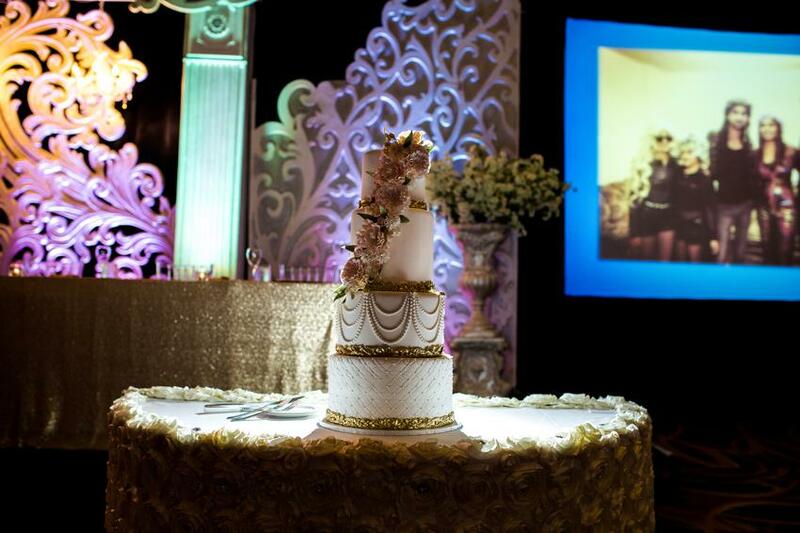 On seeing the decor, Ekta had a twinkle in her eye. 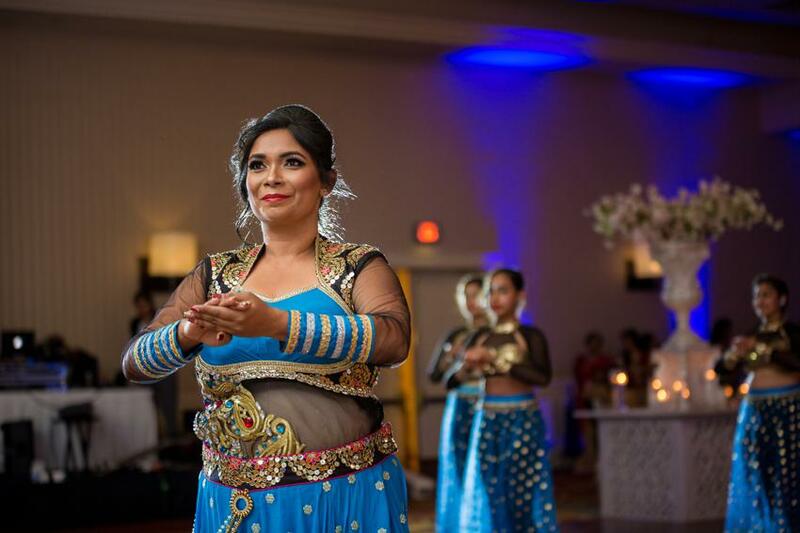 As the night progressed, there were choreographed performances by Toronto’s Indian dance school Sankarti arts. 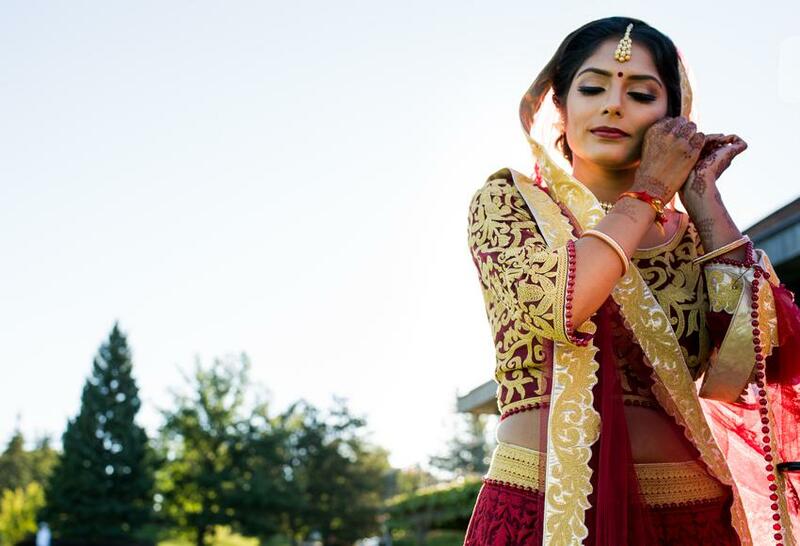 It began with traditional south Indian dance known as Kathak. 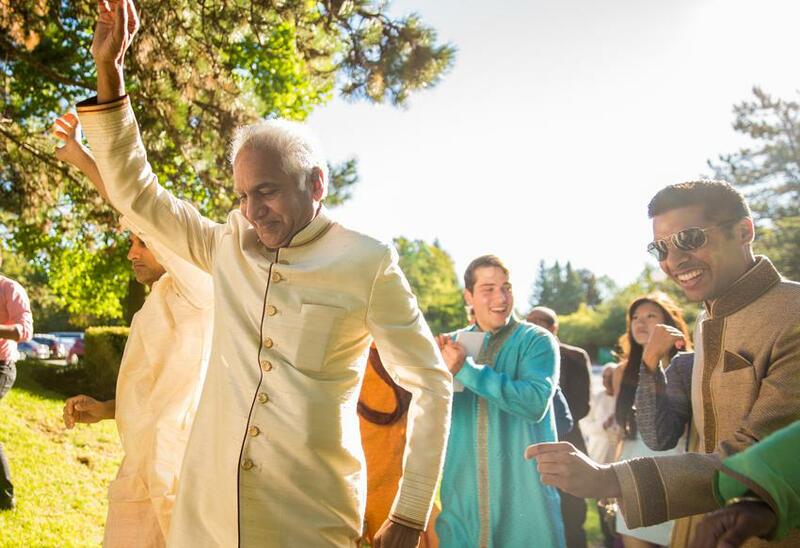 Brides entire family performed a classic dance. 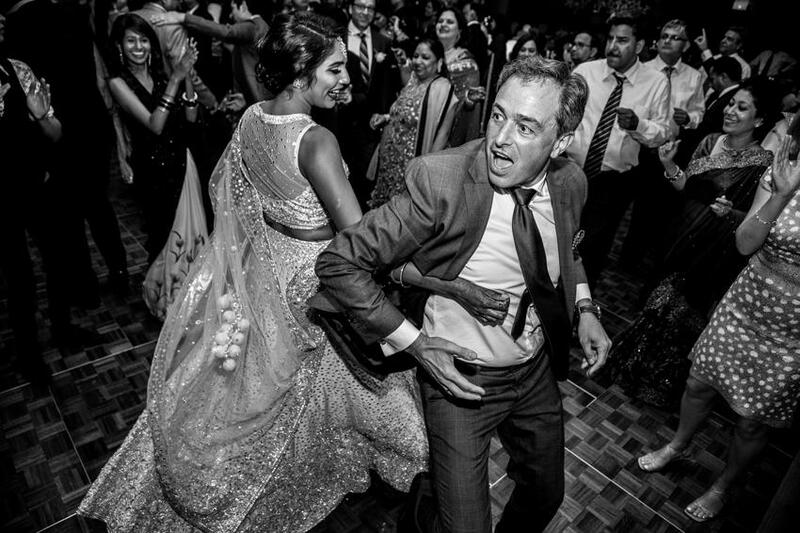 To add more fun, Gurpreet played some boliya and set the mood. 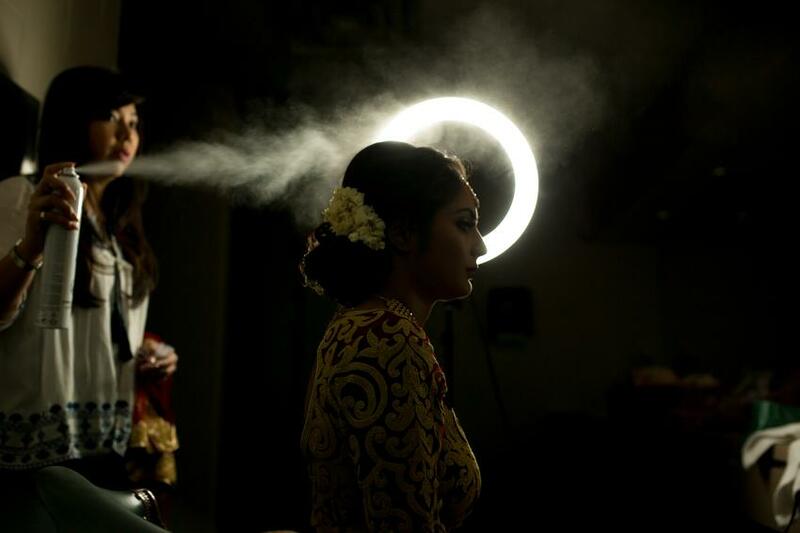 The morning began with the bride getting ready by Beauty Wu. 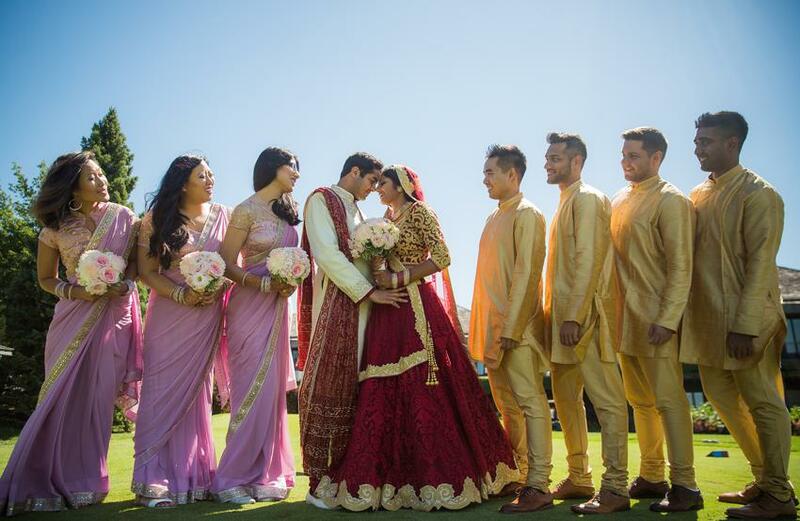 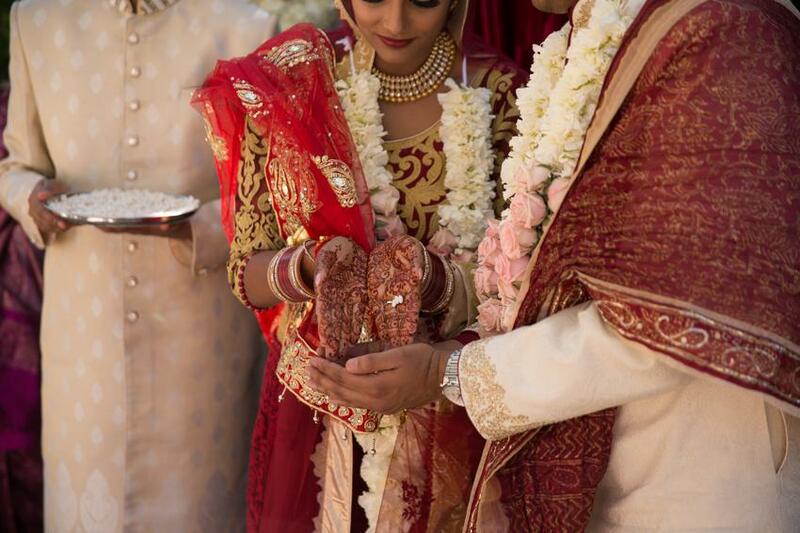 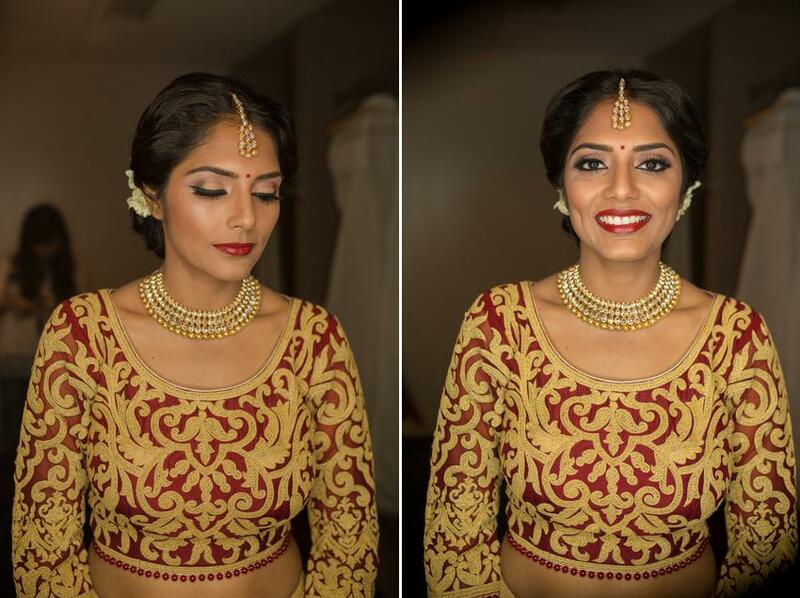 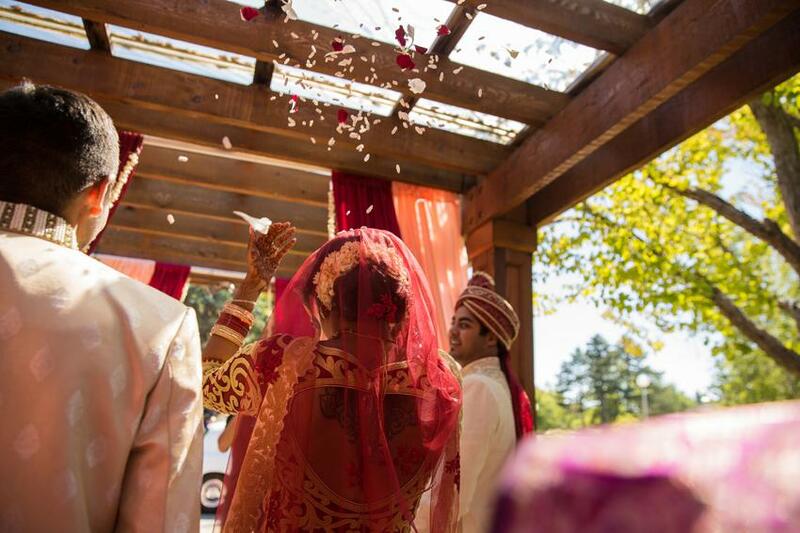 The bride wore an elegant red and gold dress while the groom wore a sherwani and sehra. 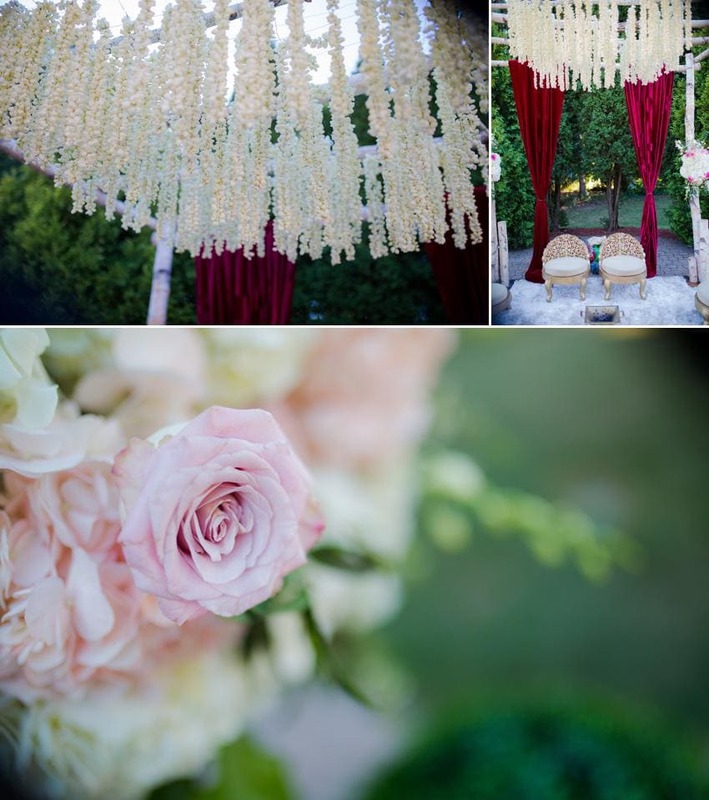 The wedding venue was Country club, where GPS Decor had setup a beautiful floral mandap. 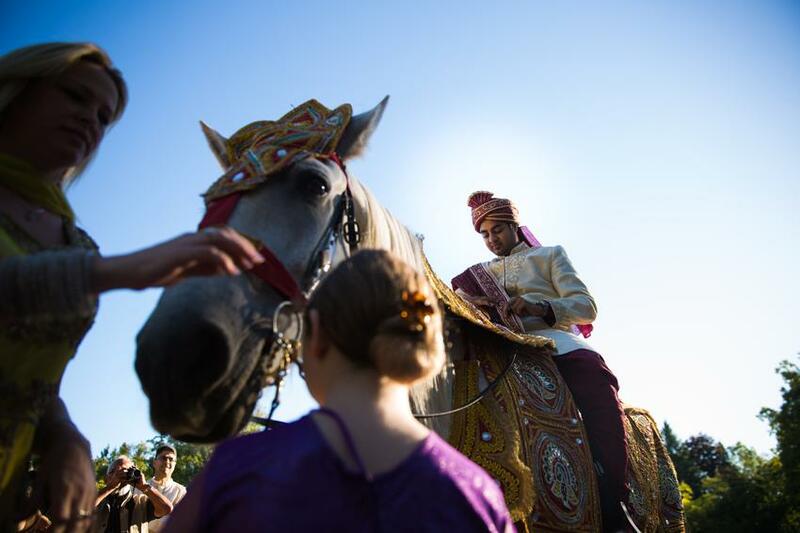 Rahul arrived for the barat ceremony on a horse. 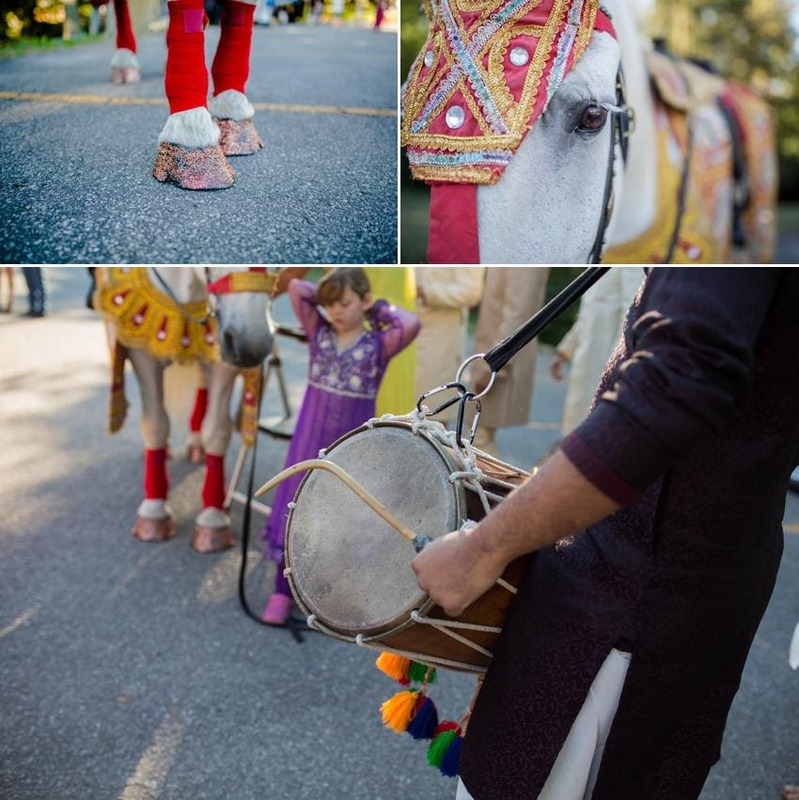 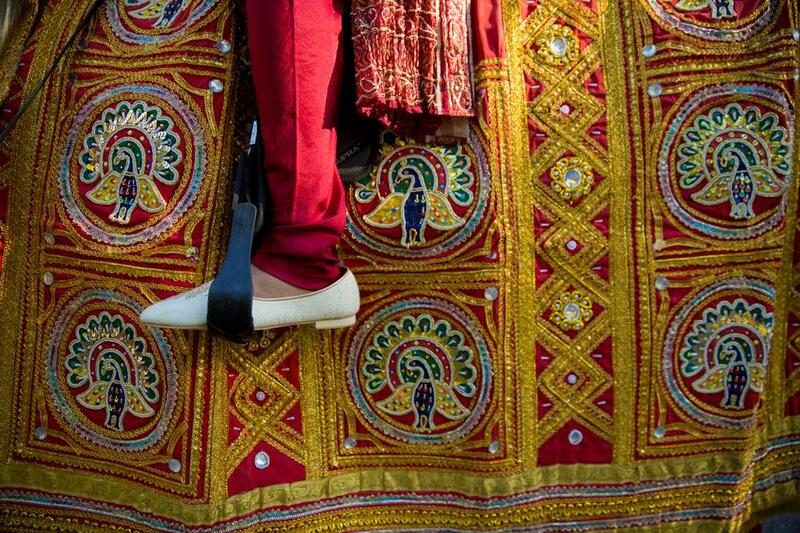 Riding on horse for barat ceremony is an old ritual still being followed by many, here in Toronto. 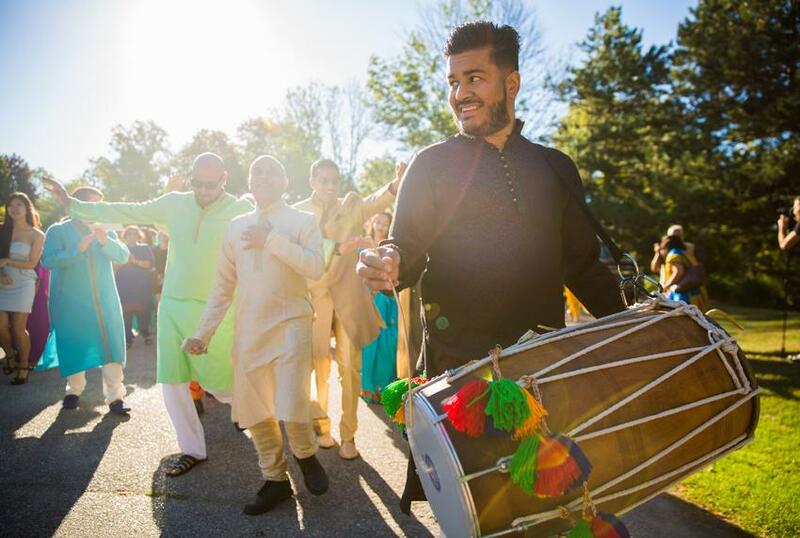 To get everyone going, Amar Dholi played some sick beats. 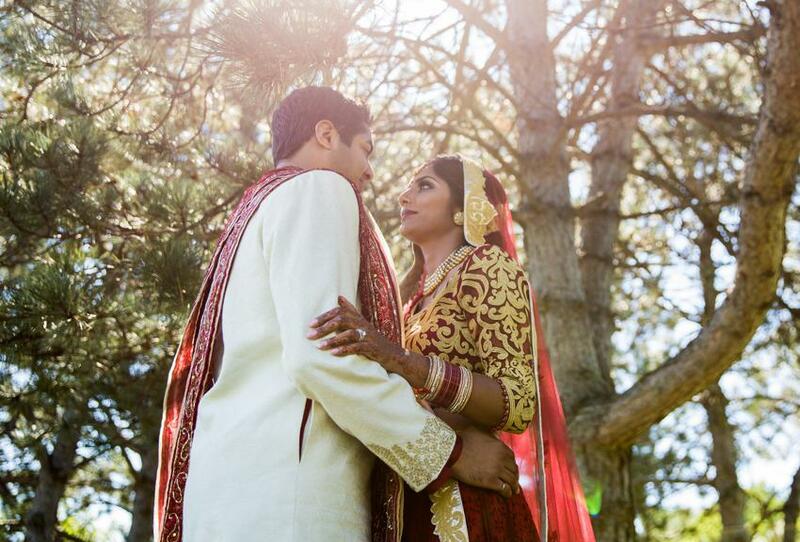 This lavish outdoor ceremony began as the bride walked down the aisle with her parents. 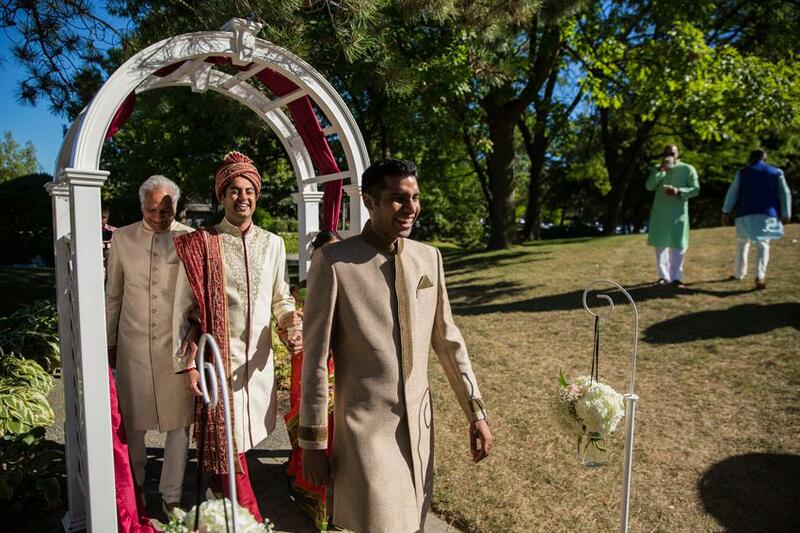 The smile on Rahul’s face was priceless. 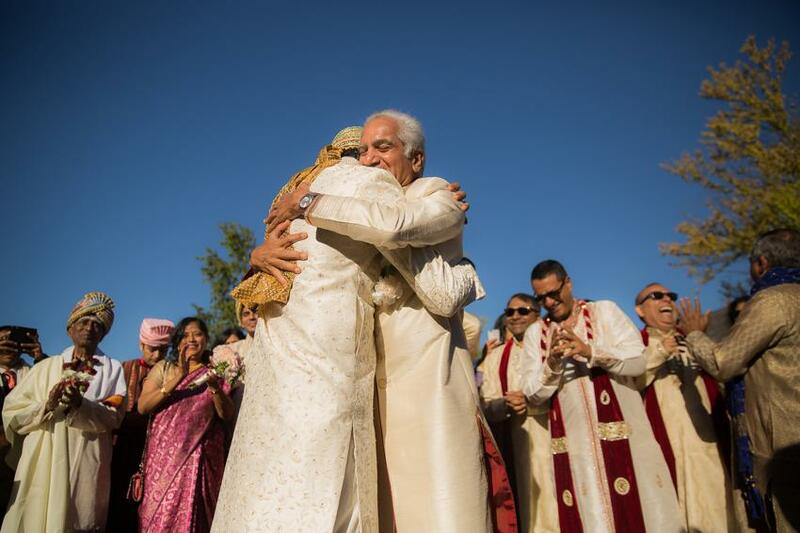 It was a beautiful ceremony, where pandit ji announced the wedding ceremony complete after the 7 vows. 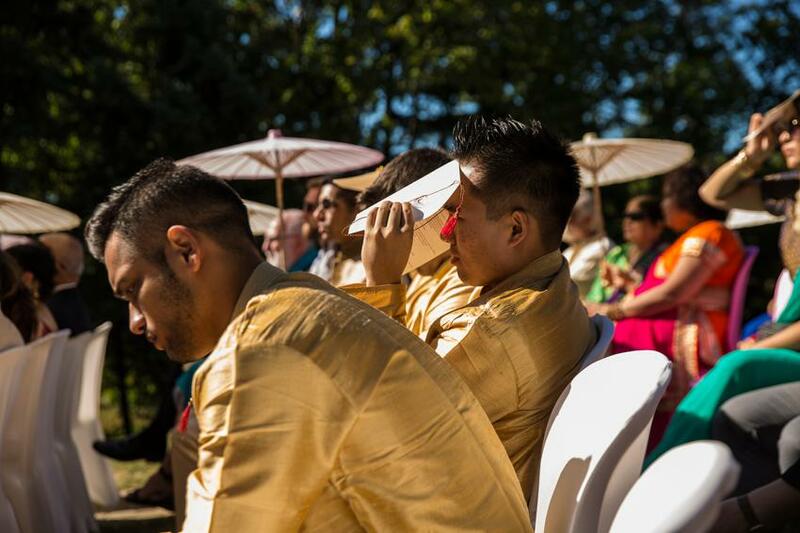 Considering the magnificent landscape of the venue, we decided to make the most of it. 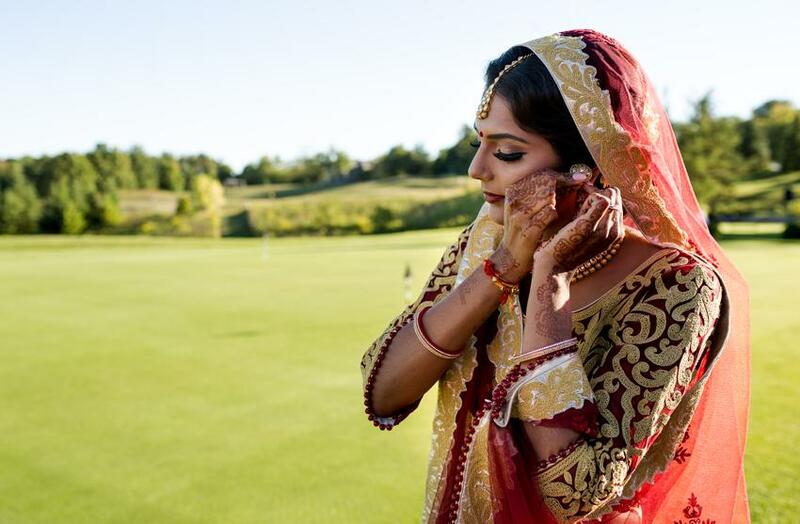 Right after ceremony, our extremely talented planner Simmi from Biji Planners, provided us two golf carts to photograph around the venue. 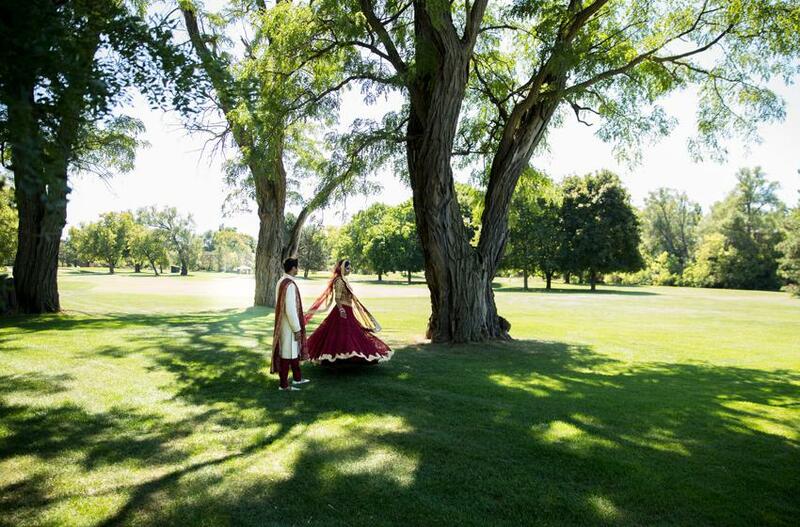 We were able to capture some stunning shots in the midst of lush green escapes of the country club. 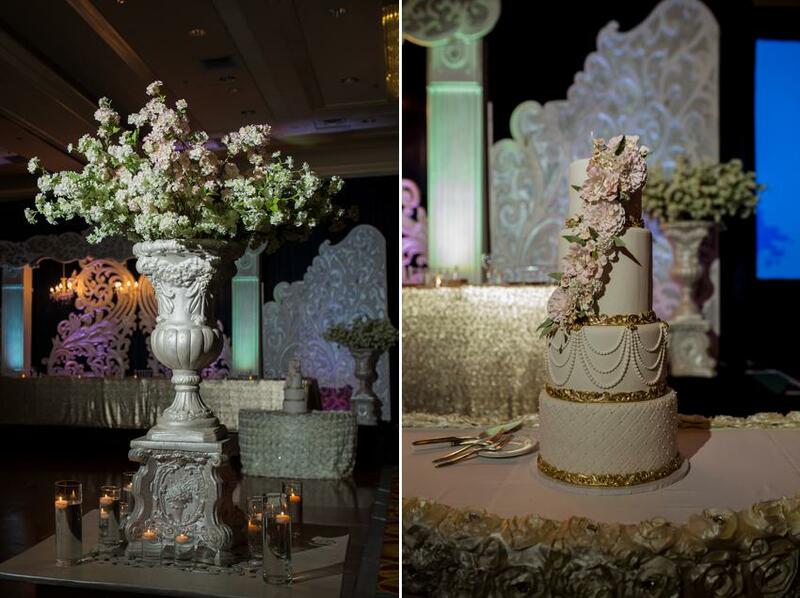 The Reception was at The Marriott in Toronto. 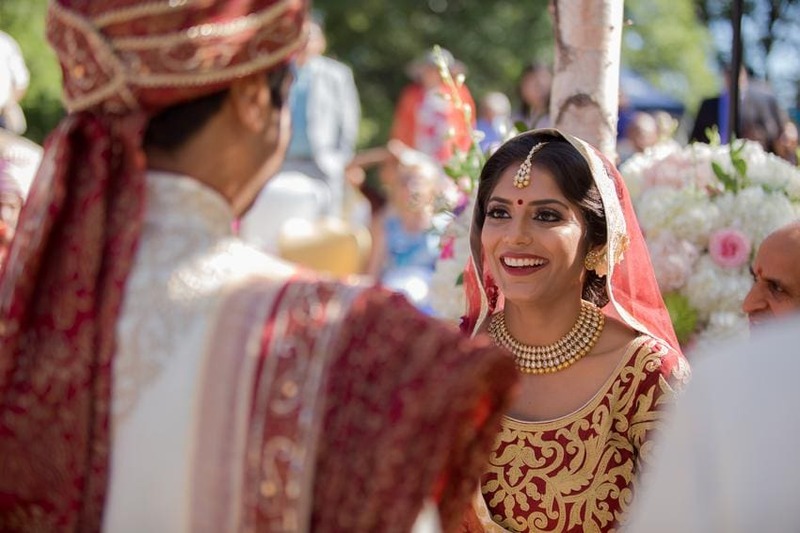 To this occasion, Ekta wore a beautiful wedding gown. 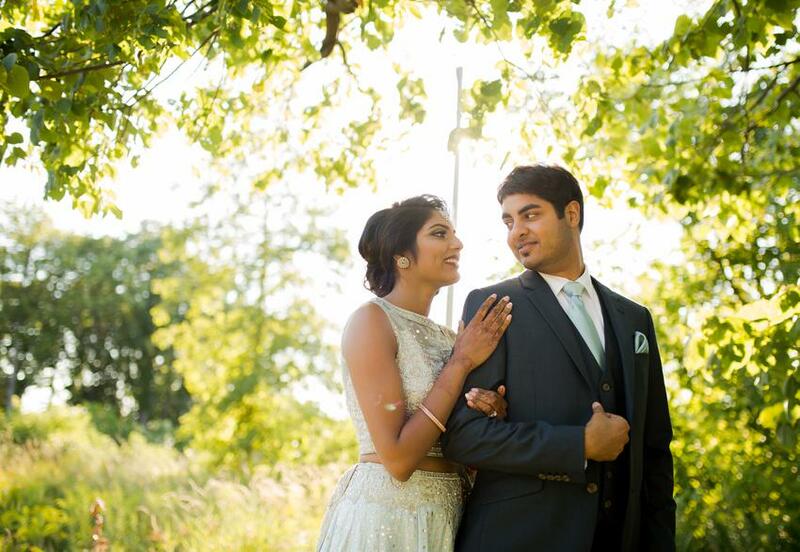 We moved the couple to a beautiful location for pre-Reception shoot. 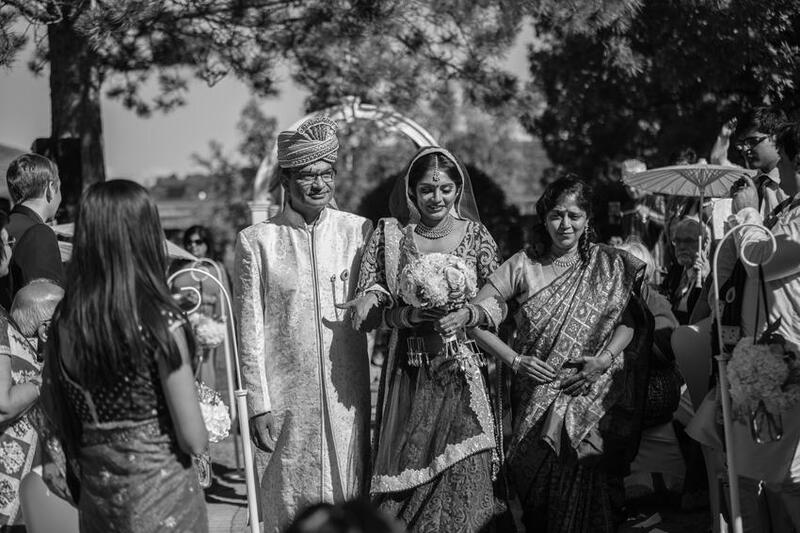 After the photo shoot, the couple greeted their guests in person prior to entering the main hall. 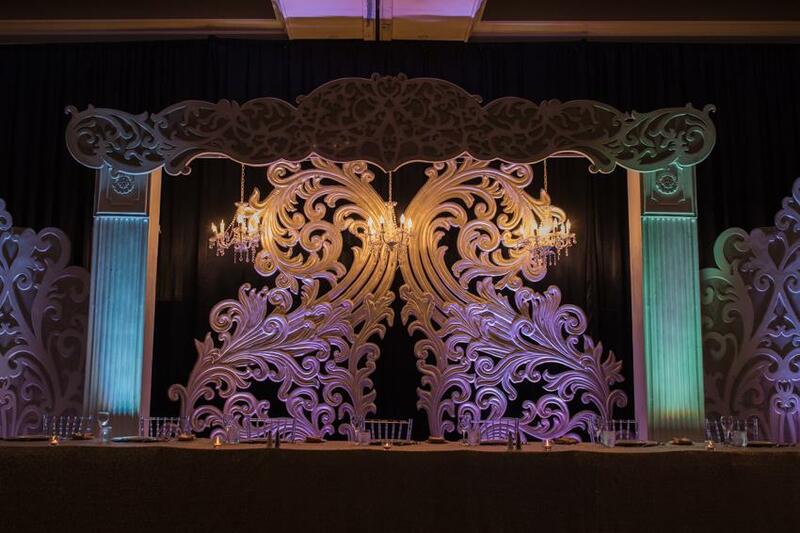 The decor was another act of masterpiece by GPS decor. 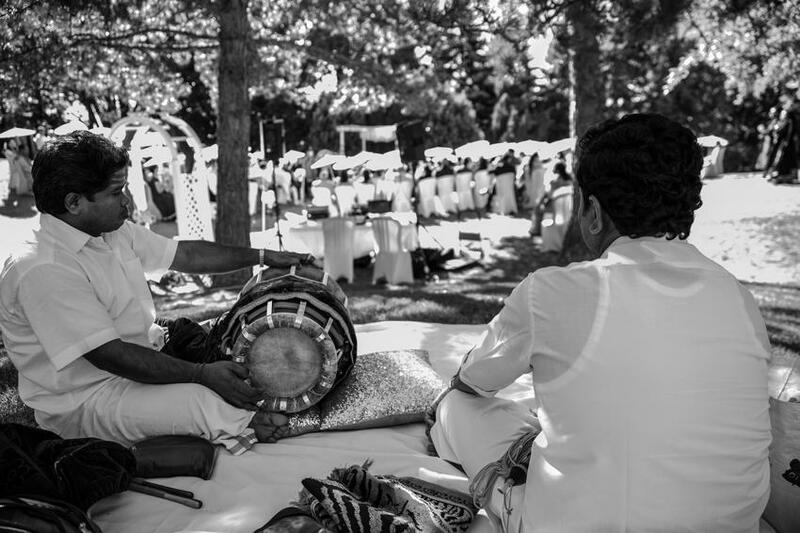 The reception party started with live classical music performances, along with Spanish and Indian performances. 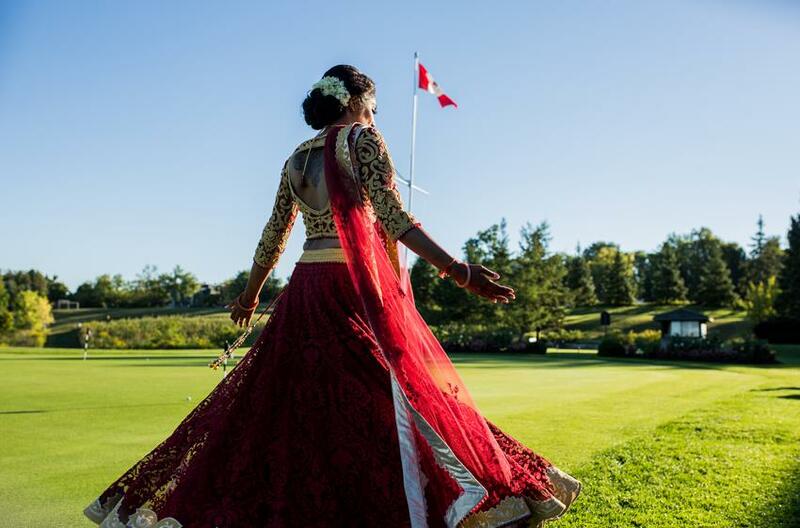 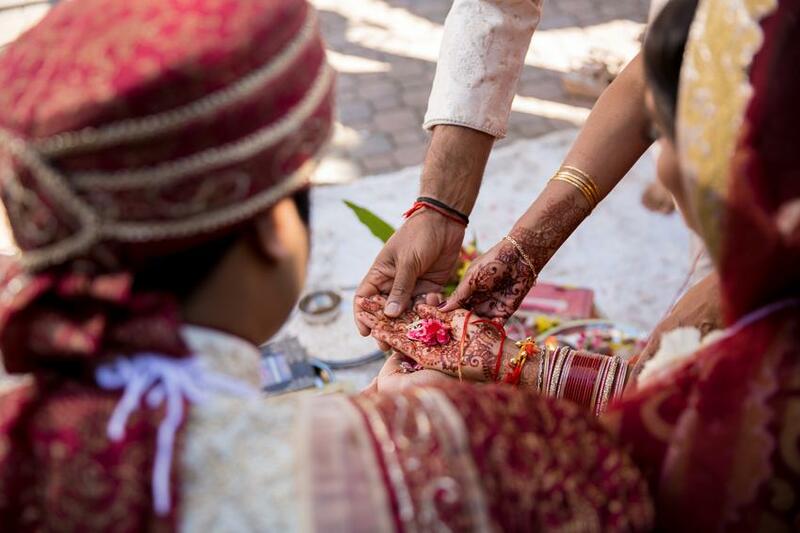 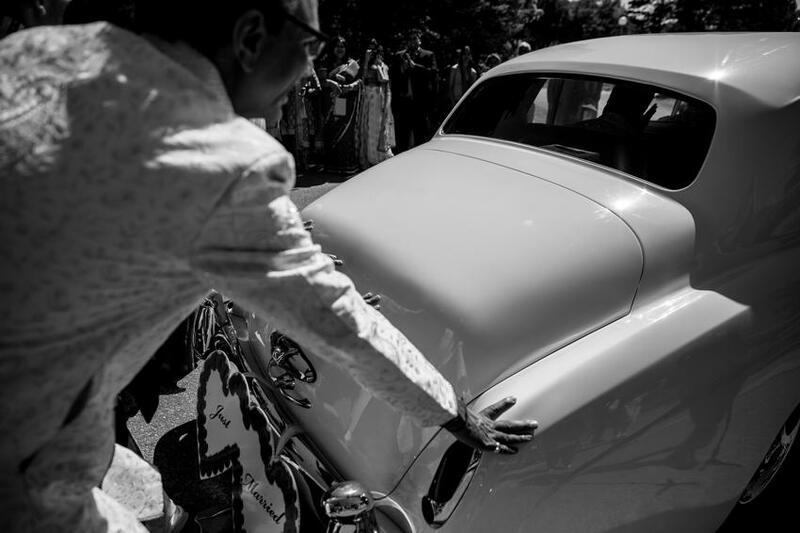 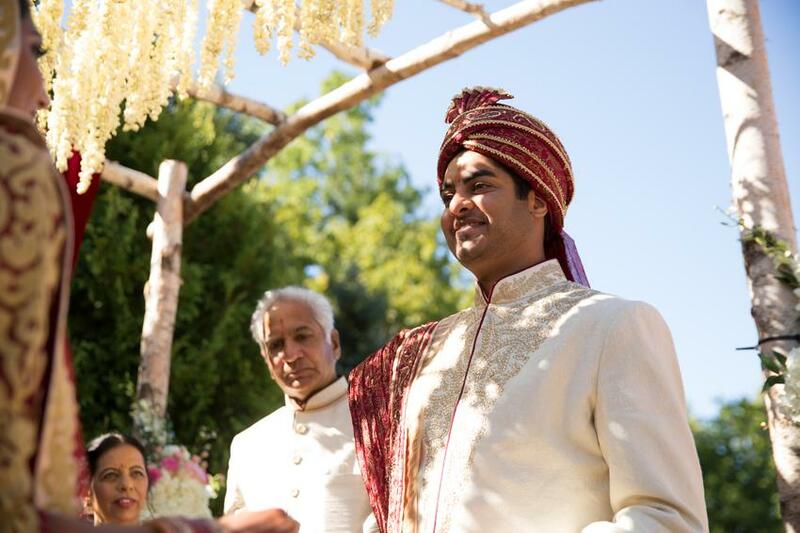 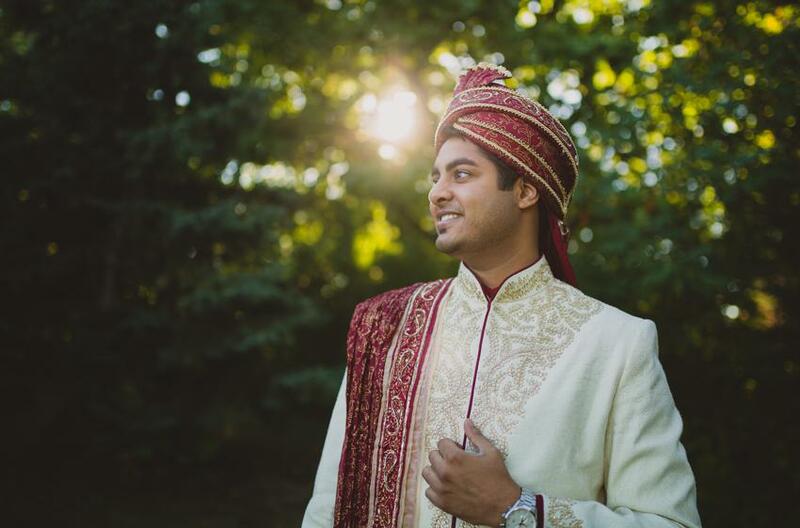 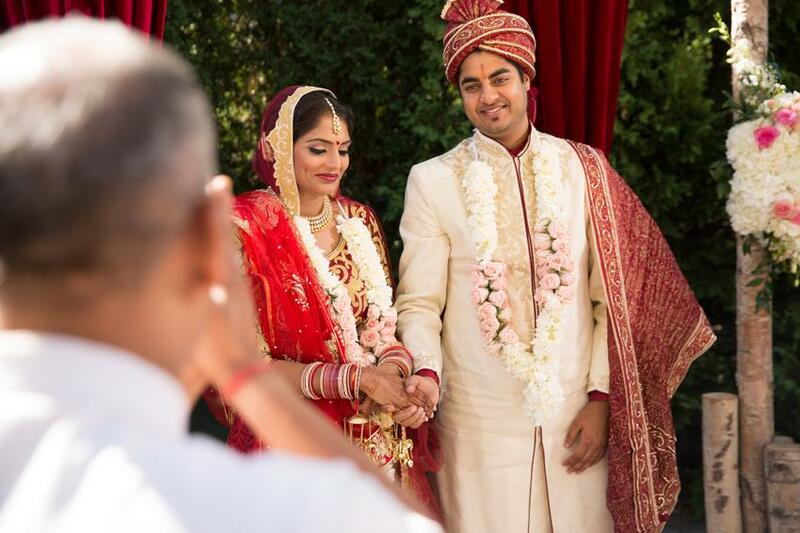 This Royal Indian affair in Toronto possible because the couple had a clear vision of what they wanted and had the right vendors to implement their vision. 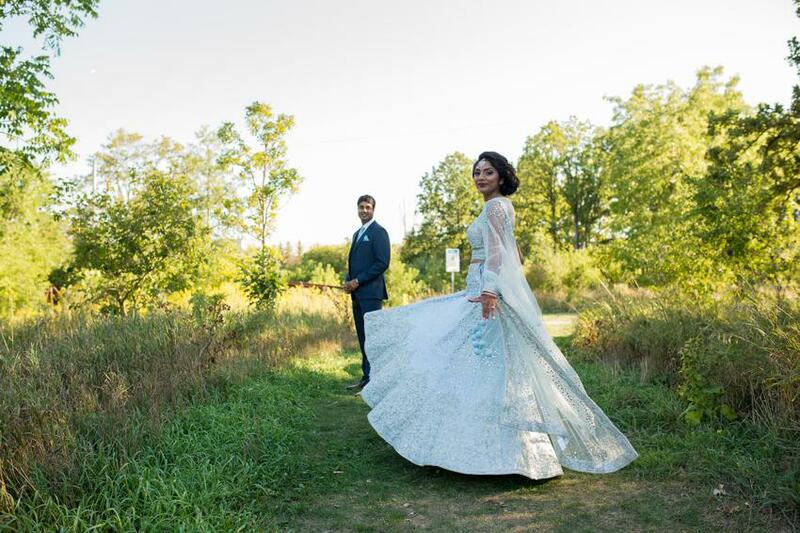 A huge credit goes to the Brides father for all his creative input and effort. 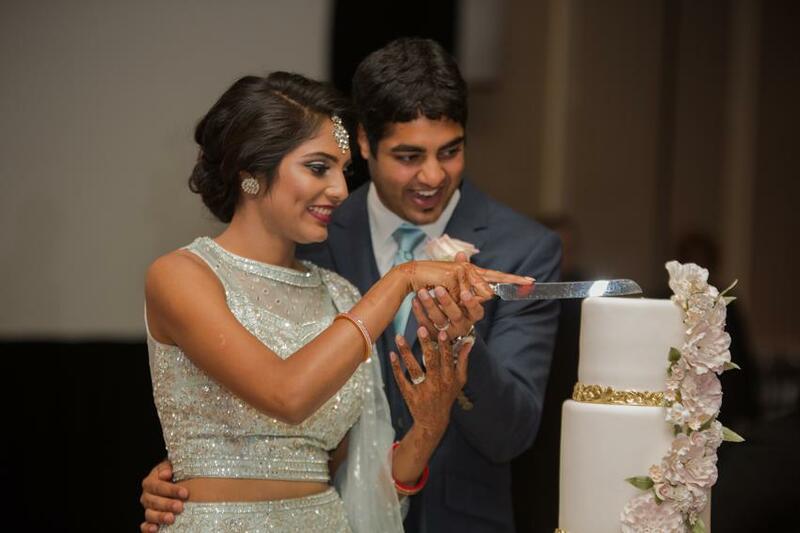 Venues: The Country Club, Airport Mariott Hotel, Virdi Banquet Hall.